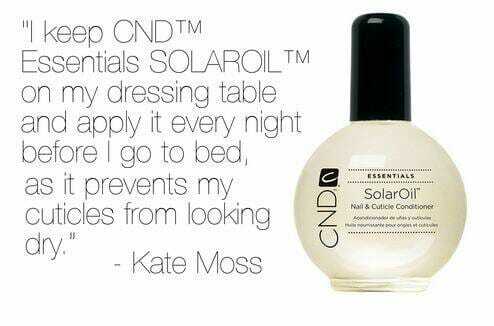 One of our staple products here at nu spa is the award winning CND Solar Oil. Used by the likes of Kate Moss, it really is one of the best nail products out there. Infused with jojoba oil and vitaminE, which drives nutrients deeper into the nail to provide Stronger, Healthier nails and hydrate the cuticles. Having CND Solar Oil at home in between your shellac treatment is a must, as applying this everyday will ensure that the nail stays hydrated and will help your preserve your polish. Sweep it across you natural or enhanced nails and you will understand why every nail and beauty expert swears by it. Upgrade your nail care routine today by purchasing this miracle manicure in a bottle from our spa reception.